ucas laser engraves only quality grade 316 stainless steel to a matt or brushed steel finish. We laser mark stainless steel using the latest technology, allowing for precise detail in permanent markings and speedy turn around on orders, with 48hrs. Our skilled engravers also mechanically engrave stainless steel which allows for a deeper cut into the stainless steel which can then be filled with paint. Often used in branding. Stainless steel is a strong, durable and anti-corrosive material suitably used in industrial labelling due to it's resistance to corrosive properties in extreme environments. Cable marking identification is vital to the success of any cable infrastructure and etched laser markings require legibility from a reasonable distance and long term. Lucas laser engraves and mechanically engraves stainless steel creating permanent crystal clear markings that last the test of time. Stainless Steel etched markings are resistant to extreme environments and ideal for both outdoor and indoor use. 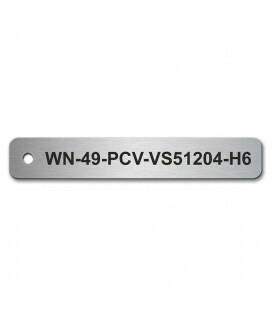 Engraved Stainless Steel Tags often used in industrial labelling due to it's resistance to extreme high or low temperatures play a vital role as valve tags, asset tags, cable tags, labelling pipes, equipment tagging etc. Whereas, Engraved Stainless Steel Nameplates can be used for anything from to branding products, engraved bespoke pieces, etched memorial plaques, door plates, office plates or anything that fits your particular requirement. 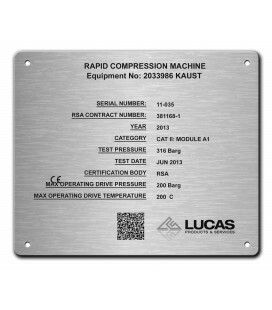 WHY ORDER LUCAS ENGRAVED STAINLESS STEEL TAGS & NAMPLATES? 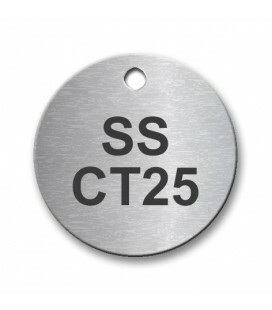 Lucas custom laser engraved stainless steel tags are cost effective and available in any size or shape. 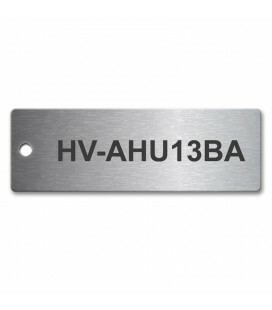 We stock circular, valve, square and rectangular tags, cable markers and name plates. 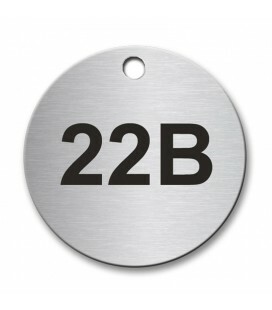 Metal tags, plates and markers can be custom engraved - labelled in any series or sequence of data that your business requires. 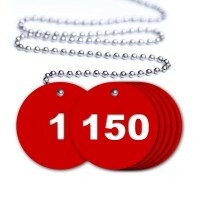 These durable, weather resistant tags can be used for any purpose. 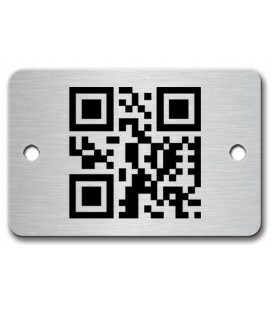 Lucas stainless steel tags are tough and maintenance free. We are able to achieve a high level of detail and our pricing structure includes 1 line of text on each tag, though you can customize your label, as required. We have perfected our process, and we pride ourselves in our flexibility and speed. You can rest assured that your order will be correct, on time and on budget! Lucas has been serving customers with high quality stainless steel tags for nearly 15 years. At Lucas Products and Services, we want to earn your trust. We embrace 4 core company values to ensure that your experience with Lucas is an excellent one. We promise that we will deliver your order exactly to your specifications. We promise to deliver the highest quality of workmanship. Our employees are professional craftsmen who specialise in laser engraving on certain materials, including stainless steel. Our engravers are highly trained and they take great pride in their work. At Lucas, we promise to provide you with high quality workmanship on every piece. We promise to keep you informed regarding the progress of your order. We will not begin your order until we have a complete understanding of your expectations of the final product. 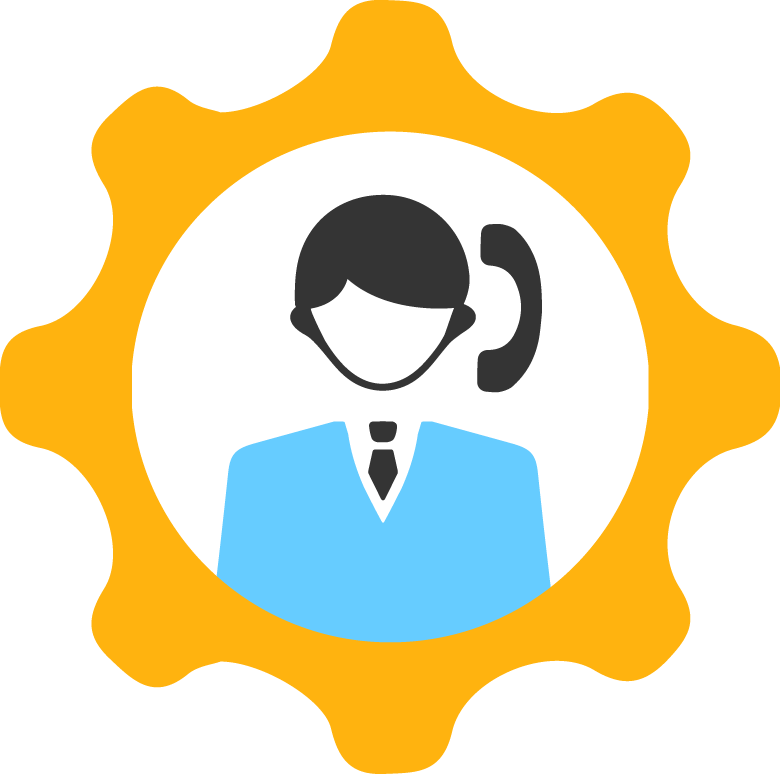 Our customer support representatives will work closely with you if needed, so that we can deliver a flawless product to you. We promise to deliver on time, every time. When you place your order, we will provide you with a delivery date. Lucas promises to deliver your product on time, every time. We highly value your business, and we know how much you value dependability. You can count on Lucas to deliver your products to you by the promised date, exactly as expected. It's an EASY Step 1, 2, 3? Lucas offers secure online ordering. Just click a category in the left sidebar menu on any page of the site to browse our inventory, or use our convenient Search feature to quickly locate a particular stainless steel tag by product number or size. Our site implements state-of-the-art encryption to ensure your personal data and payment information is safe. We value your privacy, and we never sell or trade your personal information. We accept Visa, Mastercard and PayPal for online orders, and we offer discounts on volume orders. Browse to the details page for the tag style you want to order. Enter the quantity number in the Quantity box, and then click 'ADD TO CART', Enter your payment and shipping information, and then record your order number. 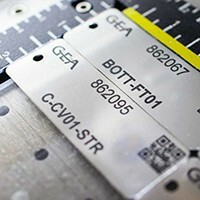 Peruse our inventory to find the stainless steel label type that fits your intended purpose. Order using our fast, secure ordering process. Prepare your data to be engraved on the tags. The quoted price includes up to one line of text on the tag. 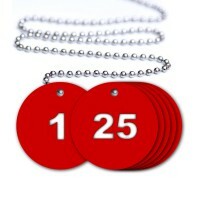 We laser engrave each tag per you specifications. The tags are cleaned, finished, then shipped to you. If you need additional information about the products or services we provide, or to place your order by phone, please call the Lucas Products and Services Customer Support Line at 0161 820 3605 to speak with a member of our support staff. A representative will assist you with any questions or to help you complete your order. If you prefer, you can contact us through our Email Enquiry form below. Fill in your details, upload your data for engraving and our specialists will answer any of you queries. 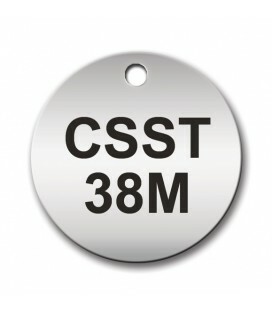 Metal laser engraving high quality Grade 316 Stainless Steel Tags is our business. We manufacture and customise Stainless Steel Tags, laser cutting and engraving them for a broad range of industries all over the UK. Our new range of stainless steel valve tag packs includes packs of Numbered Valve Tags, Sequentially Numbered Tags and Pre-defined Numbered Tags enabling our online customers to purchase bulk online hassle free at a great price without losing product quality. 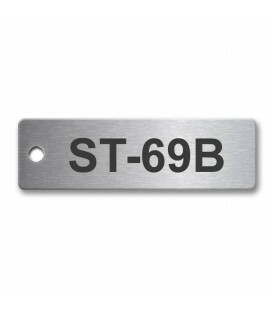 Lucas offer a wide range of standard Stainless Steel Metal Tag sizes shapes. 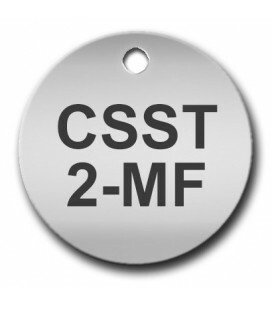 Our Custom Stainless Steel Tags are available in round or rectangular shaped metal tags. 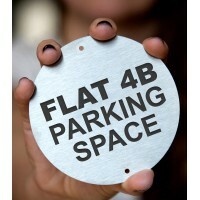 Each tag comes with one pre-drilled hole including fixtures or no hole with self adhesive backing. 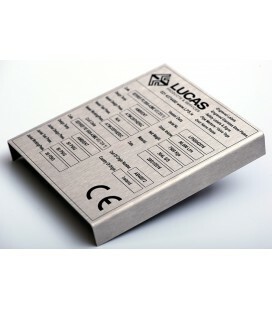 Lucas include fixtures like ball chain or self adhesive backing with every stainless steel tag order. Nickel Chain Ball Connectors are included with the price of each tag. We can also provide Stainless Steel Wire or Stainless Steel Crimps options. We use only the highest quality grade 316 stainless steel when creating Lucas Products. 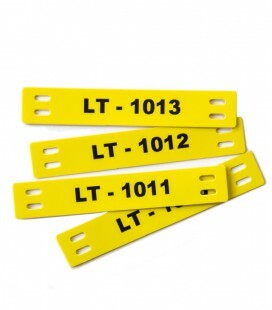 We can meet specific requirements with customised tags to suit your needs. 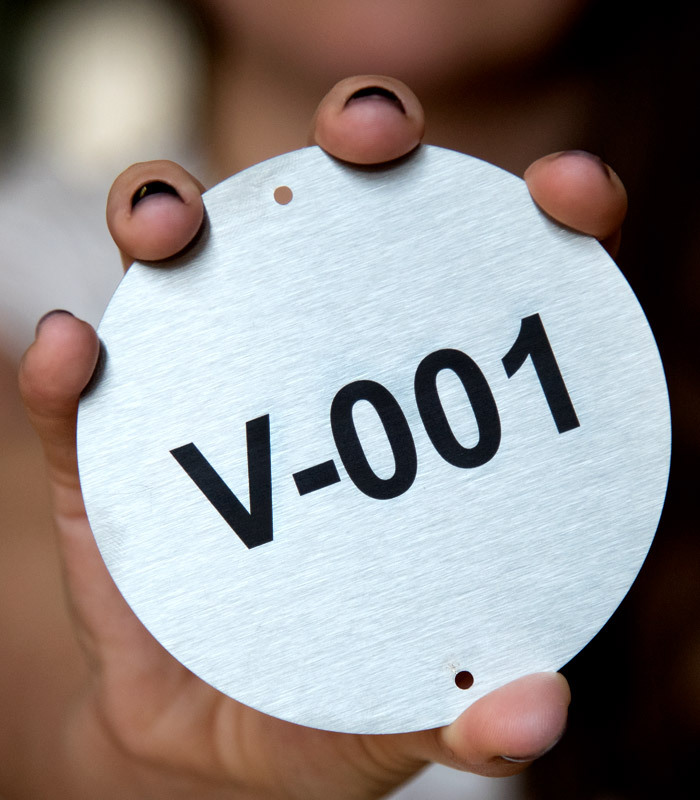 The minimum number of stainless steel metal tags per order is 10. Lucas offer discounts on all large scale project bulk orders. Call us direct for a quick quote on bulk orders at 0161 850 0153! 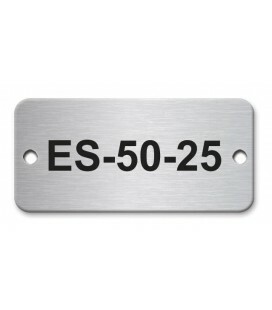 Stainless Steel Metal Tags frequently ordered at laser-engraved.co.uk are commonly used in large scale industrial projects. Our highly skilled engravers use only the latest high end laser etching engraving technologies to laser mark each tag with data uploaded online. Our reputation for percision stainless steel engraving and delivering Lucas products on time, every time is why Electrical and Mechanical Engineers approach us to handle their large scale tagging projects for use on construction sites or industrial plants. 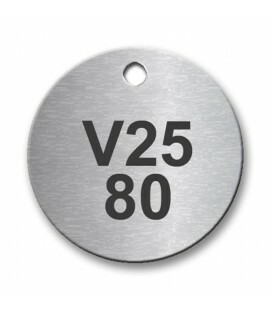 We use only premium quality grade 316 stainless steel when manufacturing Lucas stainless steel tags to ensure your permanent markings are laser marked and cut to permanent legible data. 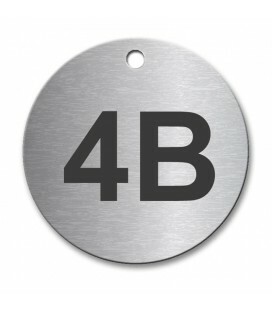 Lucas laser engravers use powerful engraving technologies to ensure we produce the best possible stainless steel tags. 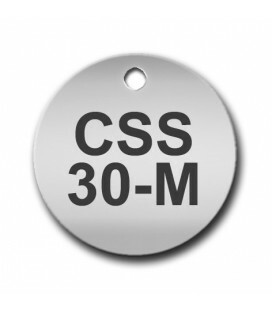 Our precision cut, laser engraved metal all-purpose tags are weather resistant and appropriate for any job. 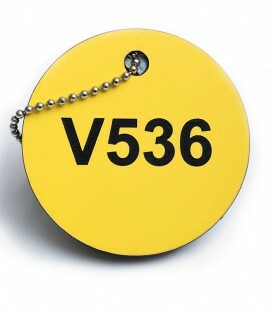 Frequent applications include: stainless steel valve tags, id tags, asset tags, equipment tags, qr coded tags, barcode tags, numbered tags and product tags. 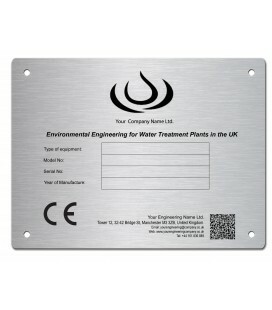 The Lucas reputation for providing high quality stainless steel name plates is second to none. 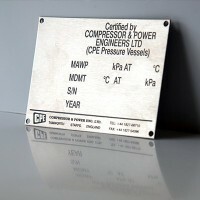 Manufactured for implementation in the harshest, most challenging environments, our stainless steel name plates are used by various companies in a wide range of industries. Our plates are ordered on a regular basis for Asset Identification, Rating Plates, CE and other Name Plates, Medical Equipment Plates and much more. Lucas stainless steel plates have an excellent outdoor-use rating, will endure for years and are well suited to demanding industrial, marine and other corrosive environments. 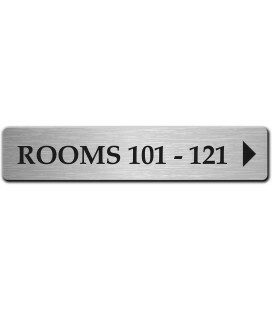 Stainless steel name plates are critical for relaying important information to employees, clients and potential customers. Don't leave your project to chance. 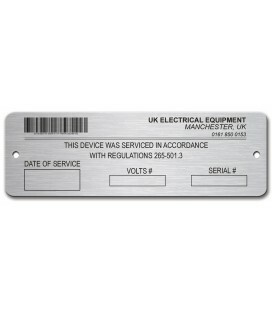 Name plates can promote your brand or communicate vital information, such as safety warnings, bar codes and serial numbers. 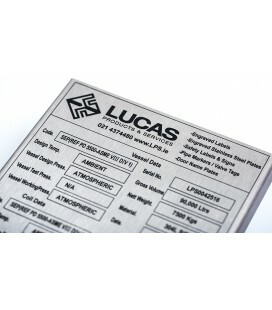 When purchasing metal name plates for your project or application, choose Lucas to get the most for your investment. 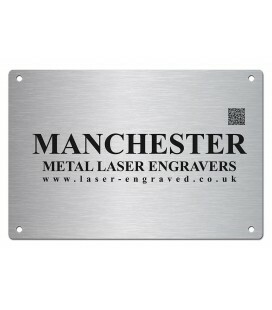 We use the latest high end technology to laser engrave stainless steel name plates. The special Laser does the permanent black engraving with a black permanent fill material, making our laser engraved plates durable, resistant to the elements and highly visible from a distance. Our staff are highly skilled with years of experience in manufacturing products. It's due to this experience that Lucas can offer you expert advice in any situation while promising a 48 product cycle turn around. That means your product will be delivered to your exact specifications to you or your specified destination (in hand) in 48 hours. 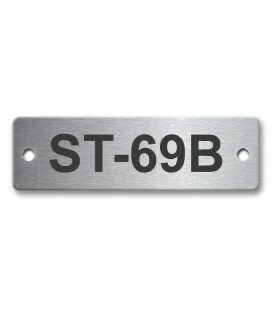 Lucas Stainless steel name plates are notable for excellent abrasion and effective chemical and heat resistance. Our 316T premium grade stainless steel material is strong, durable and will last for years. 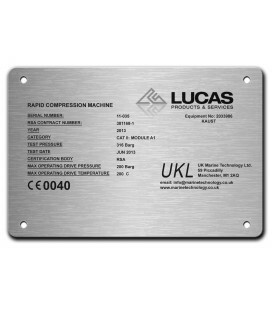 Lucas Engraved Stainless Steel Nameplates can achieve precise etching detail of your data from detailed plans to branding, imagery to QR Codes and Bar Codes. 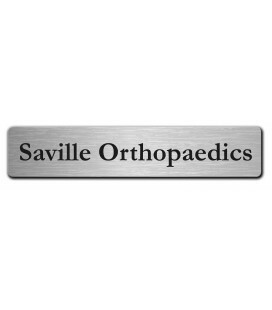 We manufacture all Engraved Stainless Steel Nameplates to your exact specifications. Search or browse through our categories to find your product. Check that the product details are right for you. Under the PRODUCT CUSTOMISATION tab, you have two options. Upload a file of your data or Enter your text and SAVE. On the product detail page, you will find the ordering widget in the right sidebar. Just specify the quantity of your order in the Quantity box in the right sidebar in the product details page, then add the order to your shopping cart. Enter your payment and shipping information, then record your order number. NEED A HELP ON YOUR ORDER? Call us for advice on 0161 850 0153 or you can Email your Order. Our online ordering process is secured by SSL encryption to keep your personal information safe and secure. Additionally, we highly value your privacy and will never share your data. Lucas accepts several methods of payment, including Visa, Mastercard and PayPal for online orders. W also offer discounts on larger quantity orders. You can purchase with confidence from Laser-engraved.co.UK. OUR PROMISE TO YOU. Our name is synonymous with quality. We will provide you with this highest quality of workmanship. We will keep you informed about the progress of each order. We will deliver your order to you exactly to your specifications and instructions. We will deliver your order on time, every time. 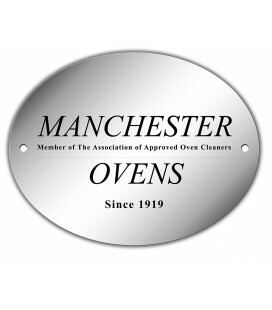 Call us for advice on 0161 850 0153 or you can Email your Order. 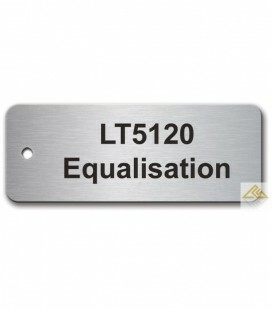 Customise your 60x40mm Stainless Steel Nameplates by uploading your data for laser engraving in the product customisation tab below & SAVE before ADD TO CART. Stainless Steel Plate Stainless SteelGrade: 316Finish: Brush polishedSize: 50mm x 25mmThickness: 1mm approx. 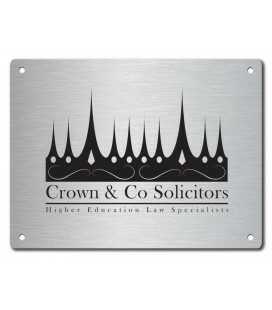 Laser Engraved Plate Stainless SteelGrade: 316Finish: Brush polishSize: 200mm x 150mmThickness: 1mm approx.